Bojan Popovic is an Intellectual Property attorney with expertise in diverse areas of mechanical engineering. 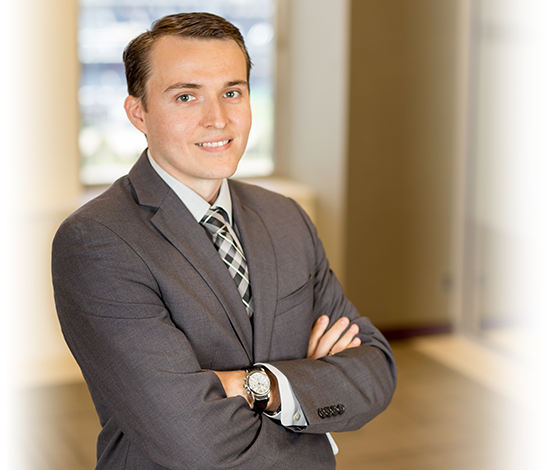 Prior to joining The Webb Law Firm, where he is involved with patents, trademarks, and copyrights on a daily basis, Bojan completed various internships related to engineering and intellectual property law. Before attending law school, Bojan worked as a Patent Examiner with the U.S. Patent and Trademark Office where he examined patent applications in the mechanical areas relating to pumps and compressors. Bojan received a J.D. degree from the University of Akron School of Law and a B.S. degree in Mechanical Engineering from the Case Western Reserve University. University of Akron School of Law, Akron, Ohio, 2010 J.D. Case Western Reserve University, Cleveland, Ohio, 2006 B.S.